Do-it-yourself painting puzzle. The child paints each piece individually using any standard paint. 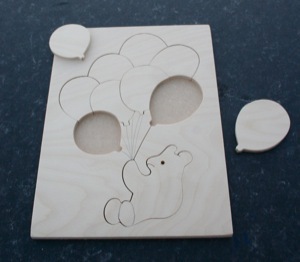 Afterwards, the product can be continue to be used as a jigsaw or the pieces glued in place and the picture hung on the wall.